Anyway, nice to meet you all. I have really enjoyed being part of this blog hop and meeting lots of lovely and talented bloggers. My bloglovin list has gotten longer and longer and there has been a great email correspondence going on behind scenes. I guess you would like to know a bit about me? I have sewn as long as I can remember. I was given an old Singer sewing machine which I used to sit cross legged on the floor with with the foot pedal under my knee - until I got a bit to big to bend down that far! When I was 18 I was given a Janome machine for my birthday. This is the machine sewed on until February this year. It had all of 6 different stitches! This year I decided it was time to upgrade and I bought a reconditioned Husqvarna 870q. It does about a million stitches (may be exaggerating) has a huge throat. I can also move the needle sideways - never knew that was even possible before. I took up quilting a couple of years ago. After I made my first quilt (from Hubbie's shirts) I found the online blogging community and discovered all the beautiful things which could be made, and all the gorgeous fabric which could be bought! I had really hoped to get my cubic hexagons finished for this post, but the heat and work put paid to that.so the only thing I have finished is a little fabric basket made with a paper pieced pattern which I tested for the very talented Michelle of Factotum of Arts. I used a Songbird fabric to match my owl. I have seen lots of lovely pictures of peoples sewing rooms over the last few weeks so thought you might like to see mine. I must issue a warning though - I work better in a mess. I need to see things to inspire me. I do tidy up sometimes - but not as often as I should. So, if you don't like a mess you may want to look away now - but go down to the bottom of the post first to see the other people in the blog hop. Still with me? Well done. I am also a papercrafter and have been running a club for the last 8 years teaching adults. My room therefore needs to have papercrafting stuff (mostly in the bottom picture) as well as sewing stuff. When I make something big I have to bring my machine out into the dining room, but I do manage little things in here. Right, this is a very long post for me, so sorry about that. Please feel free to have a look round while you are here. 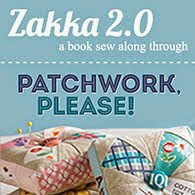 I am linking up with Crazy Mom Quilts for the Friday finish and with Plum and June for Lets Get Aquainted. Here are the list of bloggers from last week (really sorry) and this week. Alison @ Making Happyness That's ME! Oh, and if you wondered about the blog name... when I make stuff it makes me happy and I spelt it with a Y because my Hubbies name is Symon and we always have to say 'Simon, with a Y'. Nice to meet you! I'm with you on the sewing space- mine is a mess. I keep it under control enough that I have space to work, but I don't mind it being a little messy in general :) I love that little owl! wonderful to meet you through the blog hop! I'm impressed that you made your own wedding dress- bravo to you! and I enjoyed looking through your quilty projects as well! You have quite lovely makes. And it is so impressive that you make your wedding dress. Nice to meet yiu on this hop. Looks like you have a lot of fun with yours creations! I luv the owl! Wow, I cannot imagine sewing on 5000 pearls. How brave of you to sew your own wedding dress. It looks stunning! Enjoying seeing some of your more recent work too! Love your studio! I work in mess too! It's the best way to work! Good to meet you Ali! Your wedding dress is stunning! talent obviously runs in the family as your Mum's outfit is fabulous too! Your wedding dress is beautiful - what a neat project and very neat that you were able to include the buttons from your mom's dress. Your projects are great! It is so nice to meet you on the hop and I look forward to having future visits at your blog. I love reading blogs from people who can also sew clothes, I really respect that skill! Your dress is so beautiful, what a wonderful treasure. My husband and I got married 3 months after getting engaged, and I wasn't pregnant either! I don't understand why people get engaged and then don't get married for 2 years. Why wait? It's nice to meet you! Great job on your wedding dress! I like to work in a mess too, but my husband believes that is insanely impossible to do! lol! What a fun post! I love your sewing room! It looks like it would be so much fun, so inspirational to hang out there! Nice to meet you on the hop! What a great post! I love the pics of your sewing room. It is always nice to see "inside" someone's sewing room. So nice to meet you through the Hop! I am currently struggling just trying to line a Washi dress so I am completely gobsmacked at the fact that you made that gorgeous wedding dress!! Moving the needle sideways rocked my world too! Now I use it do do my scant quarter inch seams to perfection! wonderful to meet you through the blog hop! I'm impressed that you made your own wedding dress- bravo to you! and I enjoyed looking through your quilty projects as well!All of the Long Pink Bridesmaid Dresses on sale now are made by our professional dressmakers. We can guarantee you that every Long Pink Bridesmaid Dresses you buy from our shop online is well made with high quality material . Thanks for sharing! You are a talented lady - your wedding dress is just gorgeous! I love the other items you shared too. Making happyness is a great name for your blog! Lovely to read your blog post. I love your blog name! And it's fun to see other sewing spaces! I'm stopping by from Plum & June! Love that you made your wedding dress. Amazing. Garment sewing is a skill I'd like to get a bit better at. The extent of my garment sewing is a skirt and a few little girls' clothes. It is great to learn more about you. I am in love with that darling owl you made. Your wedding dress is gorgeous, I can't believe you handstitched all those pearls on it!! Also, your craft room looks a lot like mine. lol I am not sure if I work better with a messy space, but I have certainly got used to doing so! ;) So nice to meet you! Lovely post. I loved to read about your wedding dress and to see I'm not the only one with a very "creative" sewing room! So nice to meet you! Great wedding pictures! Really impressed that you and your mother can sew THAT WELL!!! So great to meet you Ali, I scrolled through to find your hexie project - very cool! Can't wait to see it all done. and I LOVE your sewing room, seriously, how fun! So brave of your to post your sewing room pictures - I can relate! Loved getting to know you more through this post. Enjoy your summer holiday! Wow, I can't believe you made your wedding dress, amazing!! I love your quilty bag, so cute:) great to meet you on the hop. Lovely couture wedding dress ;) Your craft room is a bit crazy, but your rainbow bird mobile is too cute! I know we're supposed to be talking about quilts but your wedding dress is an absolute triumph! What a talent. 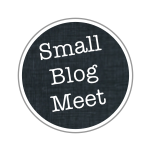 Excellent blog hop post! That owl is the cutest! And the glimpse of the feather in the header is intriguing! So glad to see someone as messy as me when they work! What a beautiful wedding dress. Thanks for letting us know you - just a bit. this was great! how talented are you to make all that for your wedding?! i am so impressed and jealous! lovely. Your sewing room looks great now. 5000 pearls hand sewn is no small feat. Great job! I cannot get over your wedding dress, no only the sheer time factor but simply the loveliness of it. It is absolutely jaw droppingly gorgeous!!!! Just lovely, lovely, lovely. Thanks for sharing - it is good to meet you! Visiting from the blog hop. Love your work! Every bit of it is adorable. I can't believe you made your dress and handsewed all those pearls!!! What a treasure. Lovely basket too. Lovely couture wedding dress ;) i am so impressed and jealous! lovely. I love your sewing space! It may be messy, but it looks cozy and I love your little bird mobile. Nice to meet you! I can't believe you made your wedding dress, that is so incredible! What an amazing thing to do, you must be so proud (I know I'm sure proud of you!). I just made a dress for the first time earlier this month and was so pleased. It's far from something as gorgeous as your dress though, wow. Wowsers! That wedding day effort is impressive! I work better in a mess, too. I prefer to call it organised chaos - however, these days it's much less organised and much more chaos. I am trying to get it back into balance again.